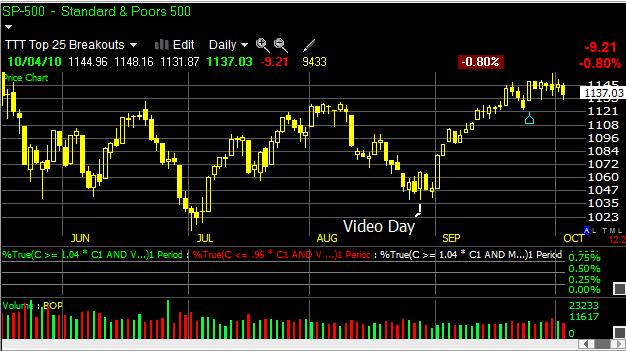 Daily Market Analysis August 28, 2010 Video You know what happened next. We had one of the best rallies in a month. In 14 days market went up 10% plus. It was easy time to make money with breakouts after breakouts working. That helped me to be up 52% for the year. But the trick in profitable trading is to be ahead of the curve and not give up hard earned gains. On September 28th I made another video and the message this time was different. The market had made a big move. 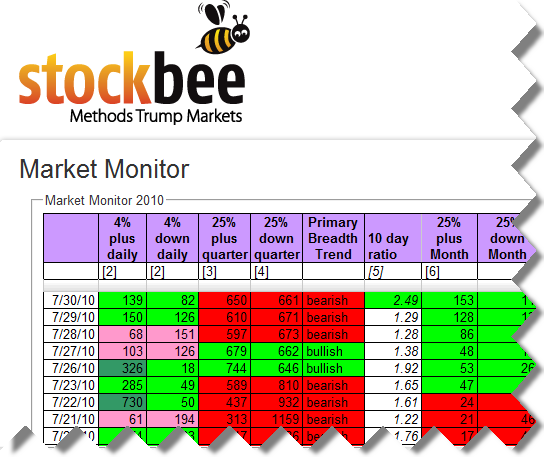 The other side of the process kicked in and the Stockbee market Monitor flashed warning signals. 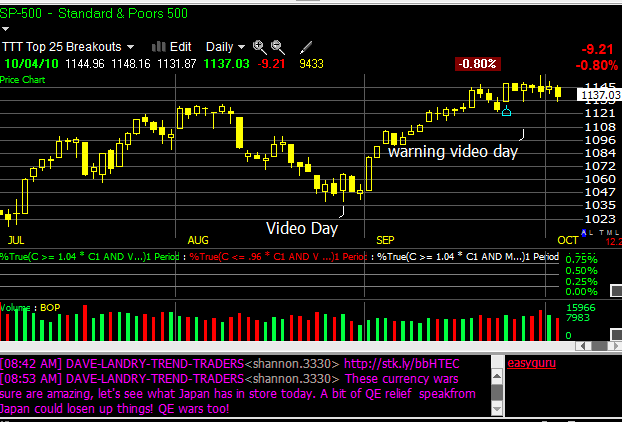 This is a long video and the reason is I wanted to focus attention on market risk. It has two important messages. There are many different ways to skin the Market Timing cat. What is required for developing a timing model is thorough understanding of some of these concepts and how you can make them work. There is abundance of published material on this subject. The key really is to move from abstract idea to workable method and process. If you can do that then it just becomes a matter of exploiting that model and process. If you want to be a consistently profitable trader then you must spend time and effort developing a workable market timing method for your style of trading.